Once you are logged in with your account details by following the Company Log-in screens, you will be able to start generating content for your company including but not limited to your products, dealers, company details, blog posts etc. TIP: WorldBuild365 is a multi-lingual platform. In order to get more visibility and traffic to your company and product pages, it is highly recommended that you take the time in populating content in the languages available to you. A completeness status indicator will help you through finalising your editing processes. 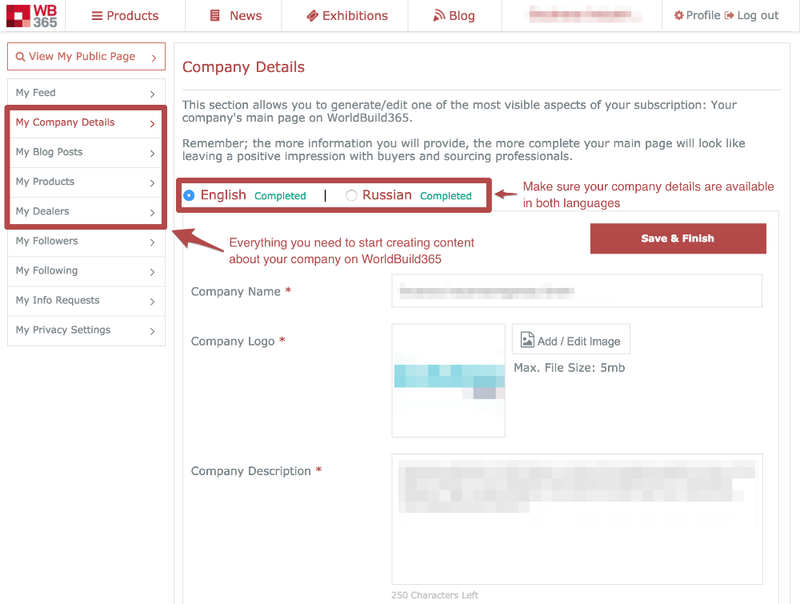 Please fill out the form fields until your language completeness status indicator says "Completed" so you may get your company and its products listed on WorldBuild365. TIP: Please make sure the email address that you will input is accessible by you and your teams. 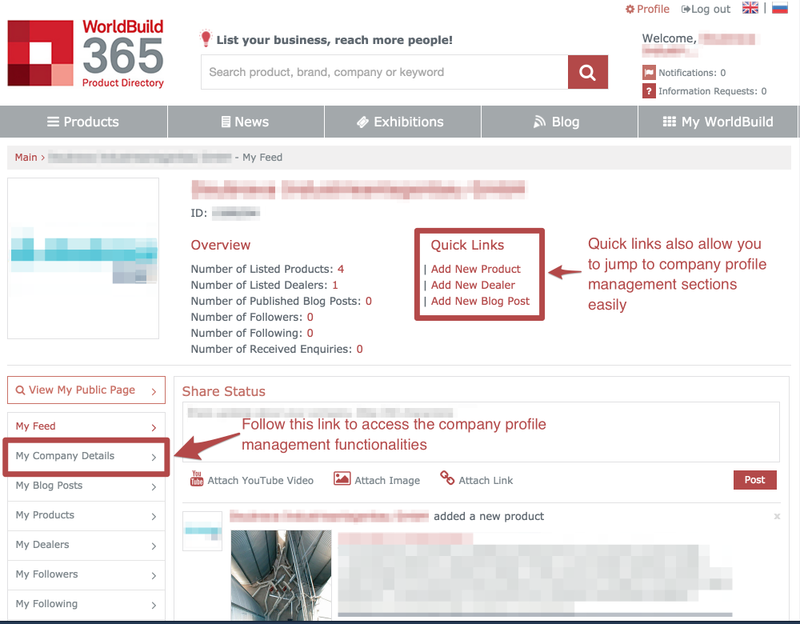 Important notifications, news and potential business enquiries from WorldBuild365 users/visitors will be forwarded to this email address. 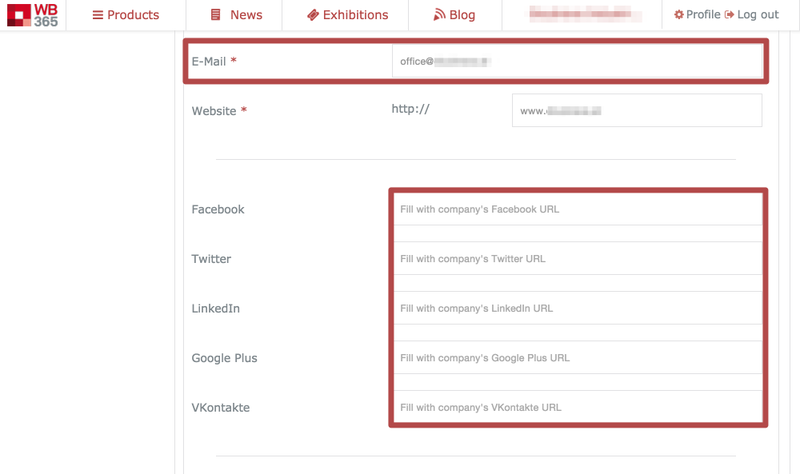 When filling out the social media form fields for your company make sure you copy and paste the full URL/link of the social media landing pages for each of the platforms shown below. You may simply use your browser's address tab to access these URLs/links once you are on the main public pages of your social media accounts.